Due to the Gas Shortage caused by Hurricane Sandy, we have been putting as many clients as possible in our Camry Hybrid Vehicles. We are currently getting more than 600 miles to every tank, which allows us to serve as many clients as possible. We apologize in advance if you were expecting a Town Car and receive a Hybrid instead. In an effort to support the growing green initiative, Legend Limousines, Inc. is the first Long Island transportation company to offer these state of the art, Livery Edition Camry Hybrid vehicles. Take all of the exceptional features and amenities of a standard Toyota Camry, add the highly advanced Toyota Hybrid Synergy Drive system, and you’ve got a roomy, well-appointed, environmentally friendly sedan that delivers outstanding fuel efficiency. The Camry Hybrid makes the switch to a more fuel efficient vehicle remarkably easy. 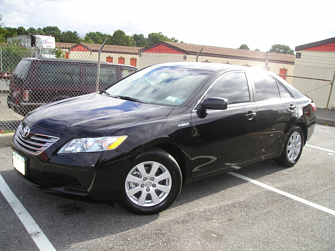 Legend’s Camry fleet feature tinted windows, a very quiet ride, and are ALWAYS CLEAN AND SMOKE FREE. Please stay safe & warm. If you or a loved one need transportation to some place with heat and electricity, please allow us to help. If you can’t afford our standard price, we will work something out with you. We look forward to continuing to serve you.